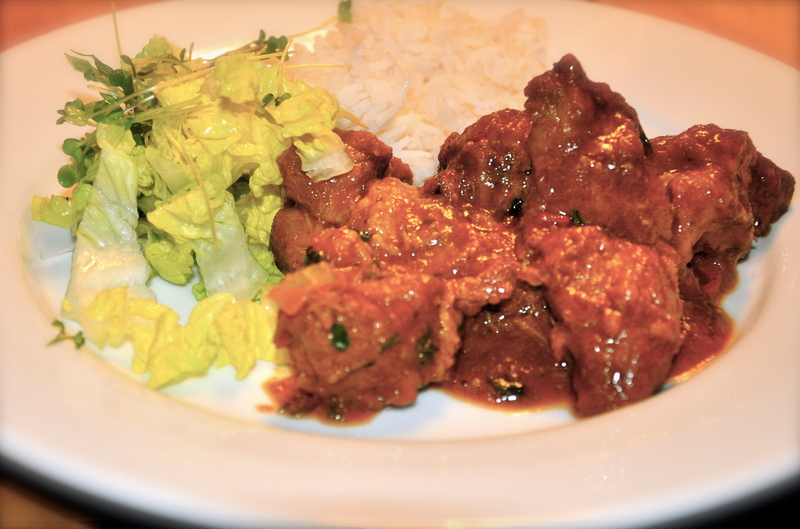 This dish is my attempt to recreate the Jamaican classic ‘Curry Goat’. I have become somewhat addicted to Jamaican curries since I had one from Cafe Caribbean in Spitalfields market one weekend. I now go back most weeks. The flavour you can achieve with scotch bonnet chillies is quite unique. While they are incredibly hot, they infuse a really fruity warmth to a dish when used in moderate quantities. Goat meat is not very easy to come by in the UK, so I am using lamb shoulder as an alternative. Lamb is also a lot easier to sell to less adventurous friends than Goat. I have looked at many different recipes before coming up with my own interpretation. Many, unlike mine, add potatoes and carrots and exclude tomatoes, but I like the extra richness the tomatoes offer and prefer to leave out the vegetables but serve the curry with a green salad on the side. It’s completely up to you and the below recipe is only an idea to be played around with. 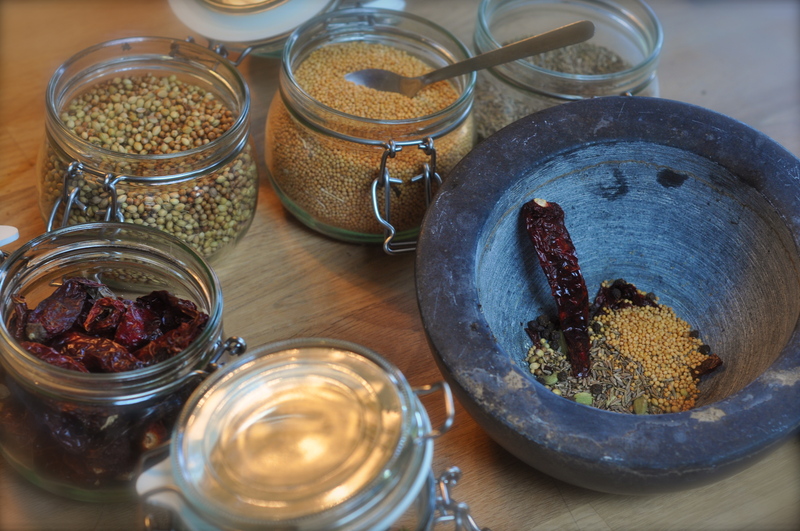 A quick note on curry powder. I would suggest you either mix your own curry powder or buy a mild Caribbean curry powder (Dunn’s River is good and available in larger supermarkets.) Generic curry powder is designed for Indian food, Jamaican food does not use cardamom like Indian food does. A simple curry powder that makes enough for this recipe: 1 tbsp ground coriander, 1/2 tbsp ground cumin, 1/2 tbsp turmeric, 1 tsp chilli, 1tsp fenugreek, 1tsp salt, 1tsp pepper. HP Sauce? Yes there is HP sauce in this recipe, it may sound weird but I saw it in Hugh Fearnley-Whittingstalls version of curry goat and it does add a nice tamarind sweet and sour edge. 1/2 scotch bonnet chillies, finely chopped – I would suggest adding one then testing, these babies pack a punch. 600ml of stock, either made from the shoulder bone or using stock cubes. Add the lamb back to the pan along with the remaining ingredients and simmer on a low heat for 2 hours. Optionally, you can remove the meat from the sauce and use a hand blender to create a smoother gravy before adding the meat back and serving with plain boiled rice or ‘rice n peas’ and a simple green salad. This dish may not be completely authentic but it’s a pretty good approximation and it eats very well indeed. It’s a great dish to make a batch of and portion it in the freezer for a friday night when you can’t be bothered to cook properly, whack it in the microwave and boil some rice. It’s better than most takeaway curries and much healthier.